So, if you follow me on social media, you know that I’m not one to post a bunch of photos of myself but I had to do an “after” shot from my experience at Atelier Aveda Salon + Barber on Kent Island. I had never been into their old location but I was able to check out their new spot, right down the street, and it is amazing! As soon as you walk in, the style and smells make you feel so relaxed. I started off with a manicure, pedicure and foot scrub with some of the Aveda oils, which smell so good. I definitely recommend adding on some of the extras, they are worth it! Samantha was super sweet and took her time, obviously making it relaxing and fun. We had a few others in the room and we had a great time chatting. I went with the gelled nails and it’s been almost a week and they still look awesome. Next, I moved over to the salon for a quick touch up of hair color on my roots, with Johnene. Since I already had extensive highlights, I just needed a quick fix and the color matches what I already had perfectly. While I was there, I had my brows waxed, then we moved over to getting my hair styled. As usual, Johnene pointed out that I have a lot of hair and it’s on the longer side but she didn’t mind and blew it out and styled it, which I was able to pull off for that night and the next day! 1) Where is your salon located? For the past three years we were located in a little white Tudor bungalow on Postal Road but just this March we relocated to a much larger 3,000 square foot location on the second story of the Rainbow Plaza in Chester. 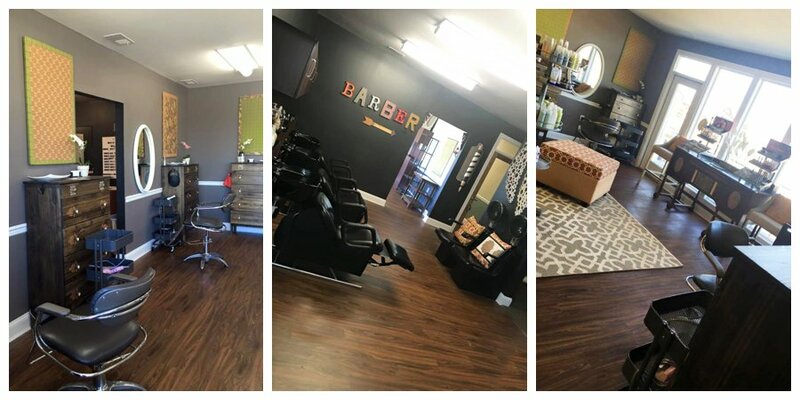 We love our new spot, it’s over double the size of our first location and we managed to fit in an entirely separate area for the guys in our barber lounge and an awesome new spa area. 2) Approximately how many employees do you have? Our team is pretty modest but slowly growing as we fill in our new space. Currently we have a team of 25 including myself with 7 stylists, 2 barbers, 5 nail therapists, 2 massage therapists, 2 estheticians, 2 coordinators and 5 attendants. We just moved to a new 7 day schedule with three of those days 12 hours long so we will be nearly doubling our team over the new year. 3) How long have you been offering salon services? How long on Kent Island? We have a team that is made up of a mix of people with lots of experience in the industry (20+ years) all the way to relative new comers. That’s one of the things I love about our team, we really foster an environment of constant growth and learning. We opened our doors in December of 2012 and haven’t looked back since! 4) What are some of the most popular services you provide? We offer so many! Our salon floor is constantly busy with guests receiving color services. We use Aveda color which is 98% naturally derived and really produced beautiful results. All of our spa services are totally customizable from the treatments offered to the pure-fumes we use to infuse the products and each product is created naturally and holistically. We live by a “beauty without compromise” mission statement and what that means to us is that we will never compromise the health of our guest or the earth we live on by using harmful products. 5) Do you offer wedding hair, makeup etc? If so, does the bridal party come to your salon or do you provide off-site? What is the minimum and maximum numbers of clients you can see, at one time? We absolutely do! As you know this area is a huge destination hot spot. We see a lot of wedding parties who seek us our specifically because we are an Aveda concept location and they know that that means we are constantly educating ourself on new techniques so there is pretty much a guarantee that the looks we create will be not only timeless but also modern. We offer both in-salon and on-site wedding services depending on the need of the guest. We really don’t have a limit to the number of guests we can see at any given time for a wedding party. We’ve done small parties of 3-4 all the way up to large parties of 20+. Like I said before we do a lot of training through Aveda and part of that training is editorial and runway work. When you’re backstage at a fashion show or on the set of a shoot you have to create amazing, striking looks that will stay in place and you have to do it fast so speed and precision is something that we have in spades. Several members of our team have received hands on training from lead runway and editorial stylists with credits that include VOGUE, Alexander McQueen, and Vivienne Westwood among others, NAHA winners and Aveda global creative directors on styling for events, runway and editorial so I wouldn’t hesitate to say that we have to most incredible makeup and styling team in our area. 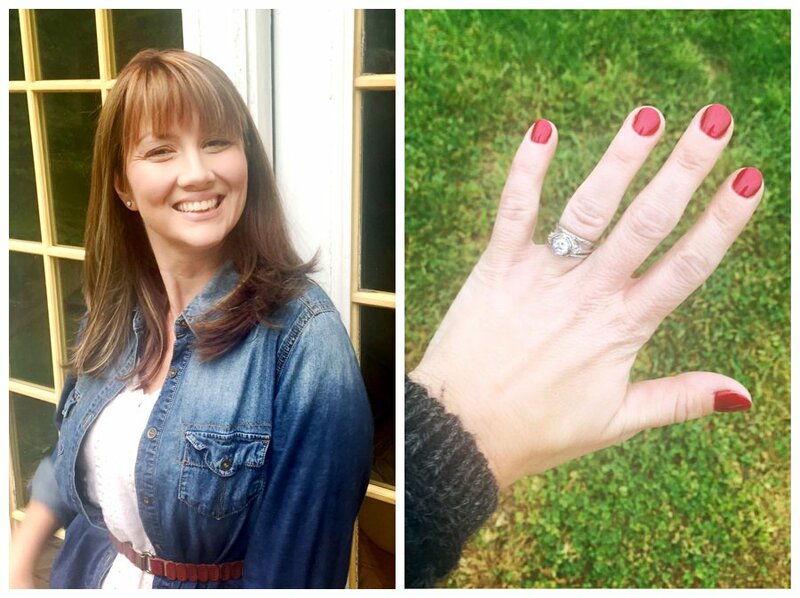 6) How many weddings can take on, for hair and/or makeup, on a given day? It all depends on timing. A wedding party of 6 who are all doing hair and makeup we can typically have camera ready in about 2 and a half hours. We’ve done up to 4 in one day before with no problems. It all depends on when the ceremonies are scheduled for. 7) How early should a bride book and confirm her hair stylist and/or makeup artist? We recommend at least 3 months in advance, especially for larger parties. Wedding season is also busy season in the salon industry and Saturdays especially tend to fill up quickly. If you have a party of 3-4 then there’s a good chance we may be able to get you in last minute if you don’t mind the appointments being staggered but if you have a large party or you would like on location styling and makeup we can’t stress enough booking in advanced. 8) What are some of the hottest bridal hairstyle trends, right now? For the past few years the trend has been either fairly rustic, lots of big texture and braiding, or super retro, big wages and barrel curls. Recently we’ve seen those two trends become more refined. The retro trends have made a push towards more polished, finished looks with a modern twist on the classics. The chignon and the French twist have never gone out of style but they’re seeing a huge resurgence. Lots of clean lines and smooth edges in very sleek, almost futuristic styles. For those who love a more relaxed look, the center part is super on trend, especially when coupled with the romantic styles we’ve seen on the runways for Dolce and Gabbana and Valentino that really update the more rustic ‘undone’ looks. Everything is becoming a bit more refined and finished without losing the romance. Even the most rustic weddings are getting a little more ‘just so’ calling back to Renaissance paintings. 9) Do you have any salon services that cater to the groom? We absolutely do. The men’s grooming trend has seen a huge boom. There’s nothing more relaxing than having a straight razor shave and I can speak from experience. Beards are also super on trend and that’s not something that will go away anytime soon. A lot of brides are requesting our services to get their grooms and the groomsmen’s beards cleaned and tightened up so they look sharp in their photos without loosing their ruggedly appeal. We recently did our first groom’s services on location at the Aspen Institute on Wye River where we did straight razor shaves on the groomsmen who didn’t have bears and beard trims on the groomsmen who did. It was awesome and something we can’t wait to do more of! 10) What is your favorite part about owning a salon? I can honestly say that my favorite part about owning a salon is the team that I work with. I cannot speak highly enough of the people that I spend my week with. They are all so creative and such amazing people. We truly are a family environment; my mother (Julie) is an owner, my sister (Samantha) manages the spa, I have another sister (Sabrina) who works as a coordinator, an aunt who is Lead Attendant (Kate), an aunt who is a nail therapist (Heather) and two of our lead stylists (Evelyn and Sydney) are also siblings. That really creates an amazing environment full of love and support. When we opened Atelier we always knew that we didn’t want to be any old salon; we really intended us to be a springboard for the careers of our team members. We aren’t happy with a team who is just busy; we want a team who goes on to become too editorial stylists, NAHA winners, celebrity stylists and educators making our industry even more amazing than it already is. Be sure to contact them for whatever salon services, you may want or even the ones you don’t know you want yet….you won’t regret it!